I have loved the art piece "Storm Over the Marsh" by James McLaughlin for a long time. Unfortunately, right now there is no where in my house I can fit it in. So instead, I have been daydreaming of a beautiful Master Bedroom where it would fit in perfectly. 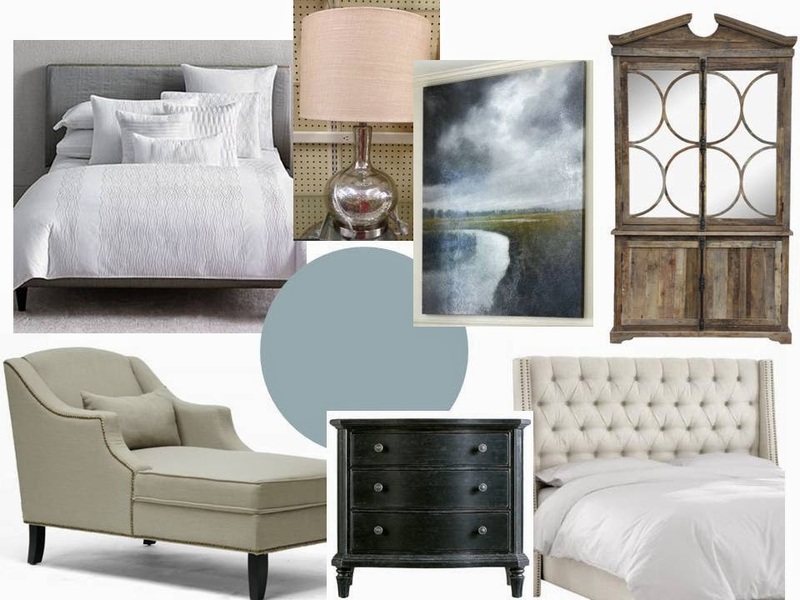 Soothing blue-gray walls, a luxurious linen upholstered headboard, fluffy white bedding, antiqued mirror accents, and a chaise to lie on and read a fantastic book. Sounds lovely, doesn't it?